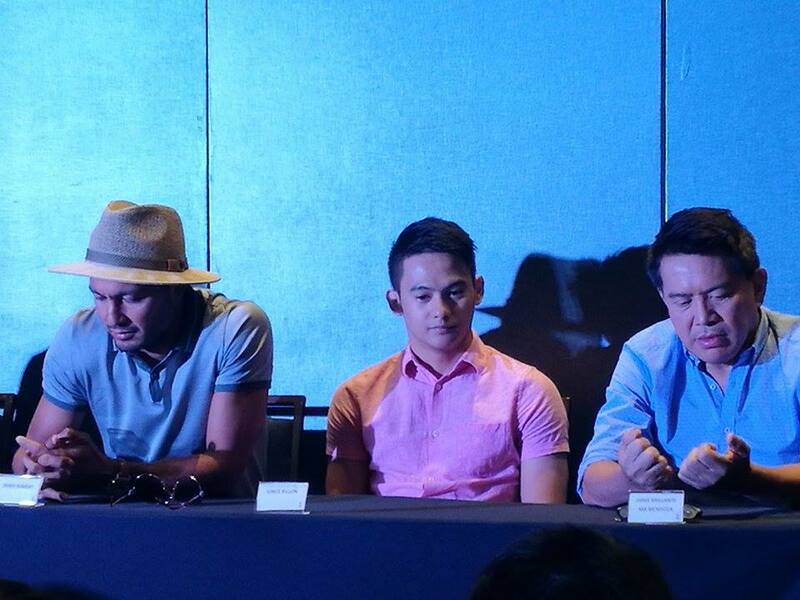 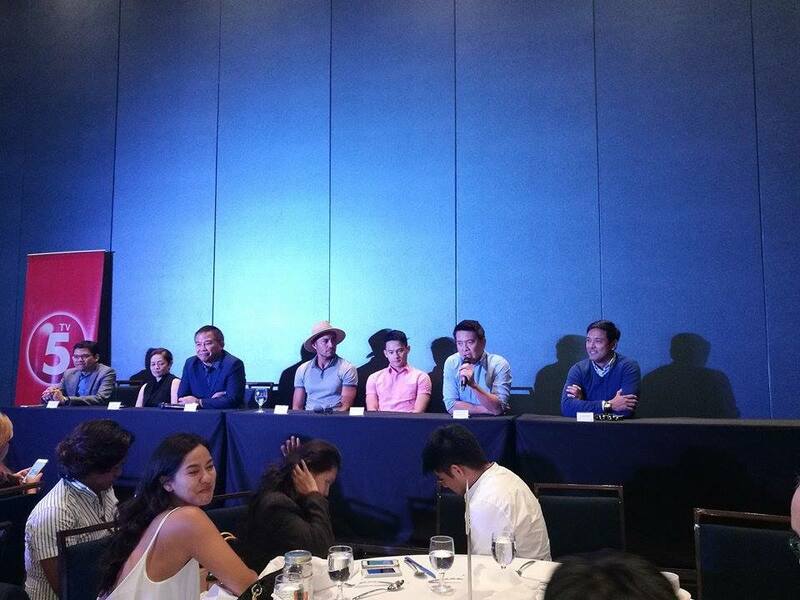 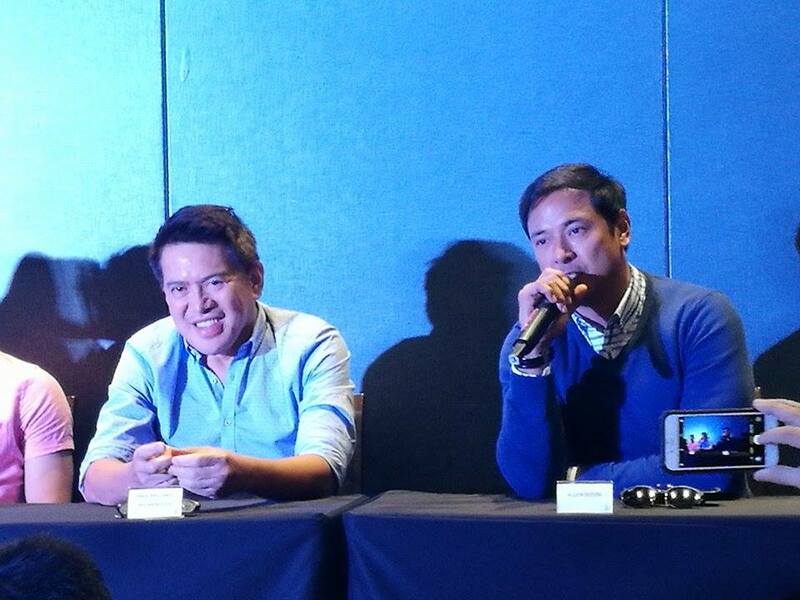 TV 5 launches AMO directed by Brilliante Mendoza on July 25 at SEDA Hotel. The event was attended by Director Brilliante Mendoza and his cast headed by Derek Ramsay, Vince Rillon, Allen Dizon, Felix Roco, Apollo Abraham, Archie Adamos, and Mara Lopez. 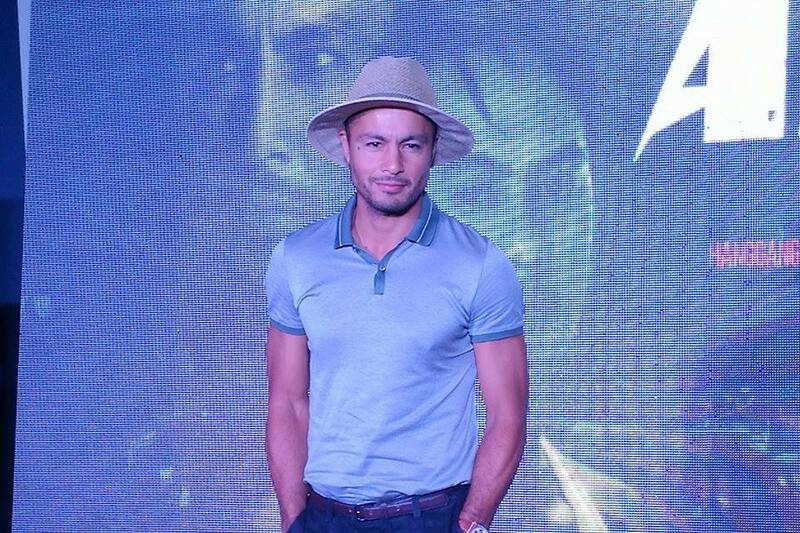 Leading the cast of this cinematic television creation is Vince Rillon who plays the role of Joseph the young drug peddler and one of the country' s leading actors Derek Ramsay who plays the role of a good cop. Joining the cast as well are Allen Dizon, Felix Roco, Apollo Abraham, Archie Adamos, Mara Lopez with the special participation of Baron Geisler. 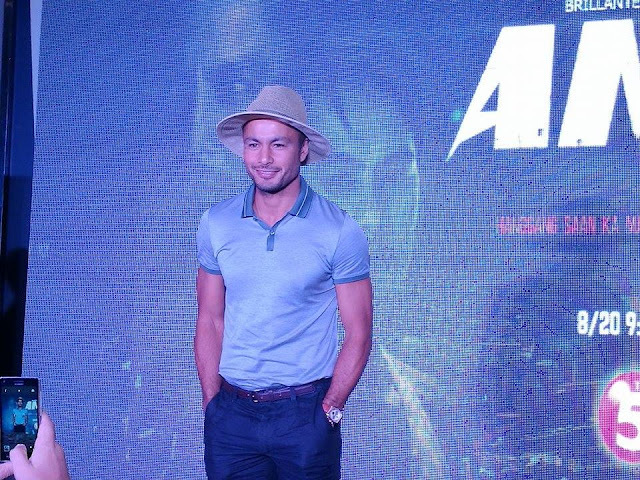 “Totoong totoo,” was how Derek Ramsay described his upcoming project AMO, an action-packed TV series helmed by one of visionary director Brillante Mendoza. Derek said he’s never ran as fast trying to catch up with the real policemen with him, unsure of what he was going to encounter as the people living in the area had no idea that they were just shooting a scene. It was only after the shot, that the real policemen told Derek how they admired his bravery as they never went inside fearing the “snipers” waiting for them in the area. 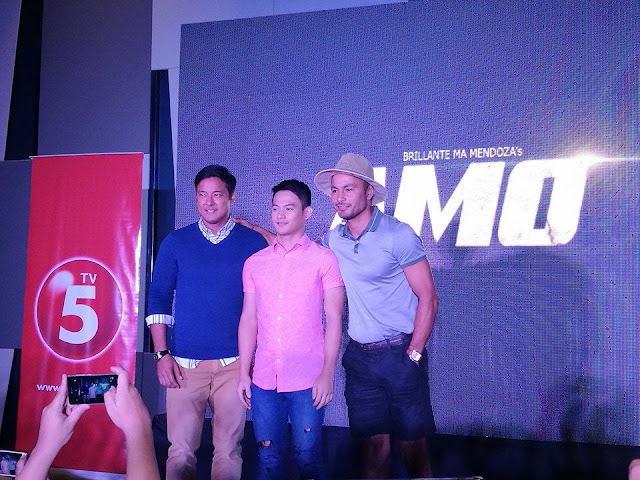 This 12-episode miniseries is set against the background of the country’s War on Drugs and depicts situations including the rampant vigilantism against suspected illegal drug personalities. It features the story of Joseph, a high school student peddling crystal meth or ”shabu” initially to his fellow gang members and later on to a much bigger market in Metro Manila. 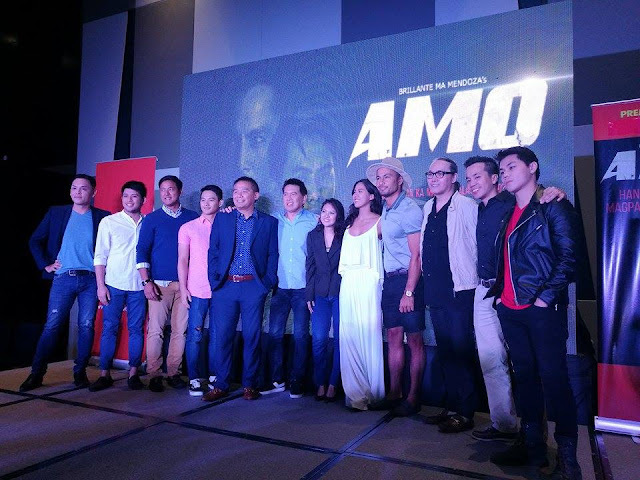 Amo also shows the controversies revolving around the Philippine National Police in the government’s campaign against drugs as well as its role in rightfully enforcing it. AMO is yet another dauntless television masterpiece by Brillante Mendoza which reflects TV5’s strong commitment to provides quality differentiated entertainment content. 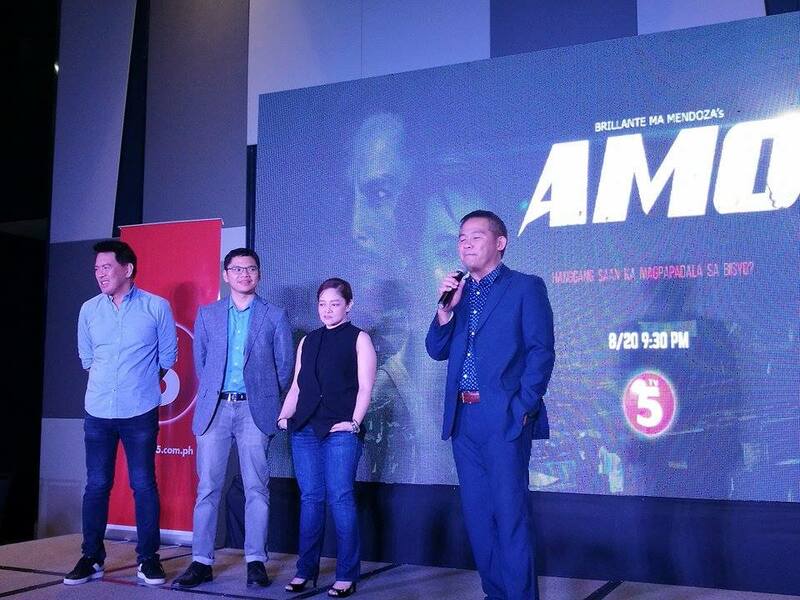 Brillante Mendoza’s AMO premieres on August 20, 9:30PM every Sunday on TV5.